The old town of Pingyao, lying in central Shanxi Province, can be one of the most intact ancient cities in China. With a history of more than 2,700 years, the 2.25 square-kilometer town is renowned for its ancient city walls, well-preserved dynastic architecture and aura of antiquity. 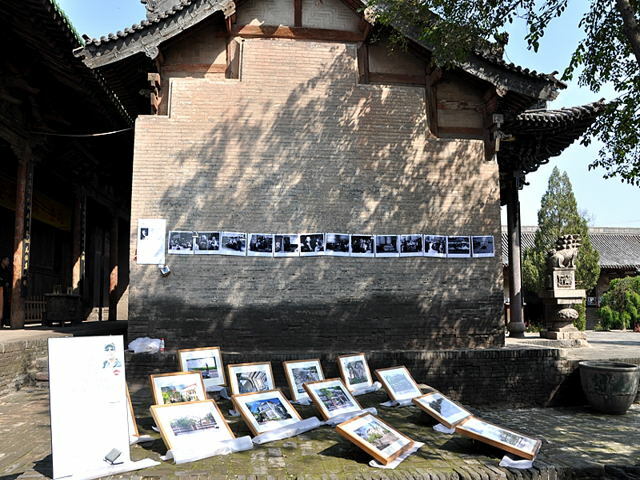 It is seen as a representative city of Shanxi folk residences. Ancient exquisitely-decorated local residences built with gray bricks could be found everywhere in the city. Traveling in the city, you feel as if you're entering the movie set of an elaborate Chinese period drama production. Elegant ancient architectures line the quaint streets. Like in the good old days, there are no cars in Pingyao's winding alleys; pedestrians and bicycles crowd the lanes, and a rickshaw rider scurries past. You might want to hop on for fun, but going slow on foot can be a visually rewarding feast. Pingyao does not have an airport. The closest one to Pingyao is the Taiyuan airport, which is located in the southern suburbs of Taiyuan, about 18 kilometers away from the city center. It takes about 2 hours to get to Pingyao from Taiyuan by long-distance bus. Pingyao railway station is at the north-west side of the city. The North-South running Tongpu Railway passes through Pingyao. From here, the railway goes north up to Taiyuan, Shijiazhuang and other places, and goes south to Linfen, Yuncheng, etc. 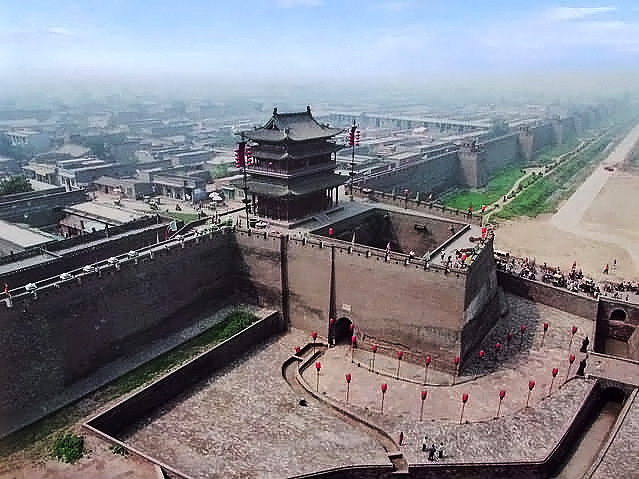 Pingyao can be directly accessed by train from Beijing, Taiyuan, and Xi'an. 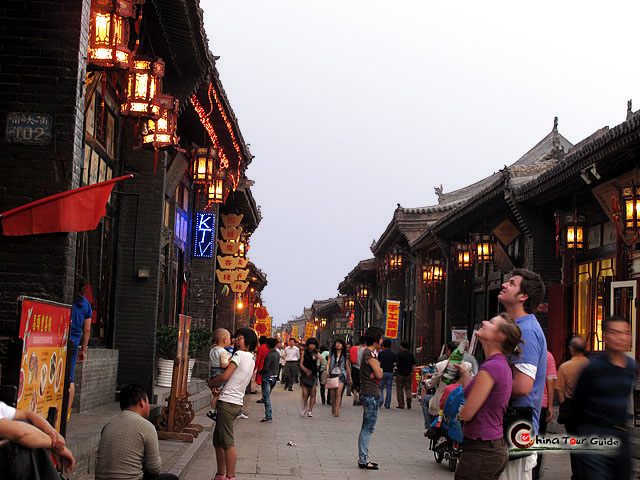 From Pingyao train station, you can take a rickshaw ride to the ancient city area. The journey takes about 5-10 minutes. Pingyao long-distance bus station is right beside the railway station. Buses go to Taiyuan every 20 min from 6:40 am to 6:30 pm. This man-driven vehicle is the main means of transportation here. It is very easy to find one that can take you for a stroll around the old streets. It's a kind of sight-view storage battery car that can accommodate 1-20 people. It is maybe the easily way to tour around. Bicycles are available for rental just In front of your hotels. This is a popular means of transportation for many tourists to explore the ancient city wall of Pingyao.